Roof windows transform an attic into a comfortable and stylish living space. There are seemingly limitless reasons why they are so popular among consumers, builders, architects, and designers. One of them is that roof windows let a lot of natural light into the room and provide highly efficient ventilation. Roof windows can help you create cosy, extraordinary and energy-efficient living space for you and your family. Sunlux Roof Windows provide a wide range of roof window products which come in a variety of materials, options, and styles. Moreover, we cooperate with the world-famous window manufacturers such as Velux, Fakro, Sunlux, Optilight, and others which bring innovative design, high energy efficiency, and superior manufacturer warranties. 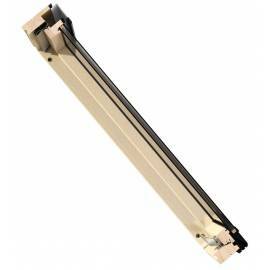 There is a wide variety of roof lights to suit any needs. Among the most popular glazing products you can find pitched roof windows, flat roof windows, skylights, sun tunnels, smoke ventilation windows, conservation windows, and many others. Pitched roofs have their own specific set of requirements that must be met when it comes to properly implemented windows. But whether you’re looking for roof windows of a 15 - 90 degree pitch, Sunlux has the perfect low pitch roof windows for you. With simple yet elegant designs, great glazing options, integrated flashings, and other incredible features, our offer is bound to have something for you. These pitched roof windows will help make your loft space brighter, warmer, and more present to be in, no matter what its purpose is. Flat roof windows are becoming an increasingly popular solution used to let in more light into any interior, private and public alike. Whether you’re looking for a fixed, manually or electrically opened window, regardless of your required size, we can help you choose one that fulfils your needs best. Manufactured by Sunlux, Fakro and Velux, we offer some of the best flat roof skylights and windows on the market. Velux flat roof windows, etc. Flat glass rooflights are among the most popular solutions for flat roofs. These windows are designed to increase the amount of daylight in your loft space and to guarantee high energy performance and excellent style. 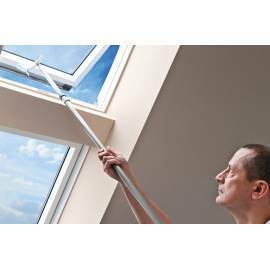 Velux flat roof windows have proved their reliability and excellent functionality worldwide. Choose among our wide range of Velux roof windows and benefit from the greater architectural impact. Moreover, you can be sure that your room will have effective heat protection. Whatever type you choose, Sunlux Ltd guarantees that your windows will possess excellent insulation, operation and ventilation properties, will be convenient in use and will ensure a great amount of natural light in the room under the flat roof. Numerous buildings have pitched roofs which can benefit greatly from any of pitched roof windows offered at Sunlux Roof Windows online shop. By adding a skylight or Velux window, you can enhance the room making it lighter, airier and more comfortable. Roof windows installed into a pitched roof can be of different types depending on what their main purpose is and where it will be installed. Any of the pitched roof windows should be selected to match the exterior and interior of your home, the size of the under-roof space and the taste of the homeowner. Velux flat roof windows can be the perfect choice for the pitched roof as they let in a huge amount of daylight, have advanced insulation properties and slim proportions enhancing the general look of the pitched roof. When choosing the glazing of the window, it is important to pay attention to the level of energy efficiency and safety declared by the manufacturer. Some glazing types have a special coating which can minimise the UV rays coming into the room space up to 99%. Usually, roof windows can be supplied with various glazing variants depending on the needs of the client. In that case, our shop offers to equip the roof windows with a special covering which can reduce or completely block out the light. Our range of window covering includes window blinds, roller shutters, roller blinds, awning blinds, and others. Roof window blinds have got a lot of advantages and are the most popular among the consumers as they not only fit perfectly to any roof window but also add colour and texture to the style of your room. Any roof window ordered from Sunlux Roof Windows can be equipped with Sunlux, Fakro or Velux window accessories. Just choose what you need and make an order. Sunlux Ltd also offers a wide range of loft doors, loft ladders, staircases and other products essential for the new building, loft conversion or renovation. Our website will make the process of shopping fast and convenient and our technical consultants are ready to assist and advise on the design of the windows you need. Convenient same-day dispatching (for orders made before 12 pm), quick and safe delivery, detailed fitting instructions and exceptional customer service - all this makes Sunlux Roof Windows your reliable partner on the contemporary roof windows market in the UK. These windows are really durable, energy efficient, aesthetically appealing and easy to maintain. Whether you are looking for top hung, side hung or centre pivot PVC roof windows, Sunlux can offer the best solution for you. Our Centre Pivot Windows are considered to be the most versatile solution suitable for almost any kind of pitched roof. They are convenient, easy to use and provide an excellent view and ventilation. 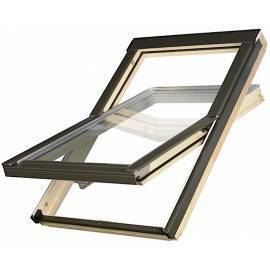 Top Hung Windows are equipped with a handle at the bottom which makes them easy to open. All our windows provide excellent thermal performance, wonderful views and a large amount of daylight that enters the room. Our high-quality Timber Roof Windows provide all the benefits including natural ventilation and daylight. We offer a wide range of wood windows from the best manufacturers such as Sunlux, Velux, Fakro, and Keylite. Sunlux offers a wide range of Timber Pivot Windows which are designed to provide excellent durability and beauty of natural wood. They are energy-saving, safe, low-maintenance and resistant to deformation. Timber top hung windows from Sunlux Ltd are designed to suit your project needs. 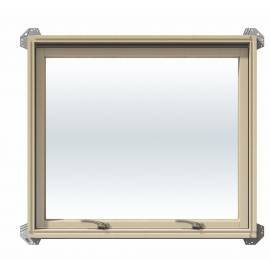 They have an outward opening system and friction hinges which are fixed to the top of the frame and allow to leave the window open. Side Hung Windows are perfect if you want to have excellent thermal performance, functionality, and security. They are beautifully built and provide a totally original look for any kind of property. Our high-quality skylights are a durable, energy-efficient and cost-effective option ideal for uninhabited rooms. We offer the best choice of skylights in the UK from the best world manufacturers such as Velux, Fakro, and Sunlux. If you decided to create additional means of emergency escape for your home, the Fakro Fire Escape Windows available at our store will become the best solution for the pitched roofs. They also provide high thermal performance. Conservation roof windows aim to fit any project in a traditional style. They are designed to retain the value of any period house. Our Fakro Conservation Roof Windows will blend seamlessly with any older building. Sunlux offers a wide choice of Smoke Ventilation Systems for pitched roofs which can be used to get rid of smoke during the fire and make your home even more secure place. You can choose an automatic or manual opening option. Sunlux Ltd provides a wide range of Flat Roof Windows from the world leading manufacturers such as Velux, Fakro, and Sunlux. You can be sure that you will get the product of the best quality which will suit perfectly the structure of the flat roof. Our Flat Glass Rooflights are non-opening and double glazed windowsmanufactured using only the high-quality materials. They are ideal if you need to create perfect thermal insulation for the roof space. Fakro Flat Roof Windows will serve you as means to increase the amount of natural light in the loft. 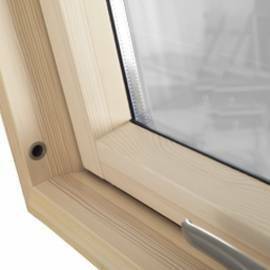 Moreover, they are characterised by the effective noise reduction and thermal insulation thanks to the triple glazing. Velux Flat Roof Windows allow you to fill your room with light and air. They are designed to provide high performing insulation, durability and energy efficiency. Velux Flat Roof Windows are available in two options: fixed and opening for ventilation. We offer a wide choice of high-quality double-glazed skylights with integrated flashings which are designed to provide high levels of natural daylight with excellent aesthetics. All our products boast incredible energy efficiency, durability, and safety. Sunlux offers a wide range of high-performance windows for pitched roofs. Our range includes roof windows of various types and manufacturers: centre-pivot and top-hung, PVC and timber, fire escapes and smoke systems, etc.